Welcome to 2018! For business, does the New Year feel any different? If not, maybe it should. Think about it, the nation is nearly a decade past the end of the subprime-mortgage crisis and the Great Recession. Corporate profits and the stock market are at or near all-time highs, and Dee Cee has promised lower taxes on business profits. 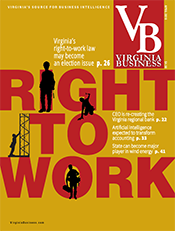 In Virginia, unemployment is at pre-recession levels. Are you feeling good about business, maybe euphoric? If not, it’s time to take a step back and recalibrate. Sometimes after things are down so long, it’s hard to realize they really are better. Coming out of the deepest recession since the Great Depression, we’ve had a decade-long recovery. A whole generation of business leadership largely has retired or otherwise been replaced by a new brand of executive. In almost every sector, with the possible exception of high tech, this new generation of leadership earned their stripes through cost reduction, downsizing, merging and consolidating — not on business growth. In high-tech, top-line growth was there, but bottom-line profits remained elusive. Success was more defined by continuously attracting public or private capital than by successfully creating net income. One consequence of this new generation of leadership is C-suite jobs are increasingly dominated by individuals with cost-cutting backgrounds. 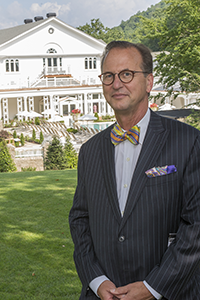 It’s unfortunately rare for sales or marketing executives to have a run at being the CEO. 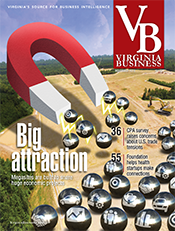 Leadership with business growth experience is essential, but it’s currently in short supply. The criticisms of a jobless recovery and wage stagnation do bear some truth. Unemployment is lower, but the number of discouraged workers absent in the denominator of unemployment numbers is higher. On the wage front, manufacturing jobs have been replaced by lower-paying service-sector jobs. This is our new economy. No one ever said we’d get the old one back again. That’s the macro-economic outlook. What’s the view closer to home? 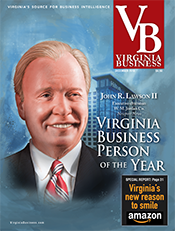 For me, that’s Virginia Business magazine. 2017 was a pretty good year. Higher ad page counts are great to see. We’ve had to smartly control costs, but we’ve also turned a profit and attracted capital, allowing us to stay independent and privately owned. 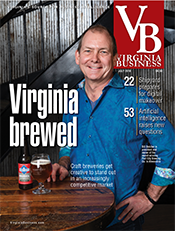 Being in the media business, either print or digital, isn’t what anyone would call easy. I’m often asked how the internet affects things. Technology enlarges our audience, but digital ad rates don’t come anywhere near to covering the cost of creating content. Print ads remain essential — and that’s a good thing because print works better. What’s unchanged is that building your brand is our goal. Whether it’s the coal mining, education, travel or banking, digital technology has affected every business sector. However, just because the old economy isn’t coming back doesn’t mean we can’t adapt and stay strong. 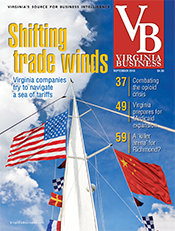 At Virginia Business, we have a great lineup of content planned for 2018. 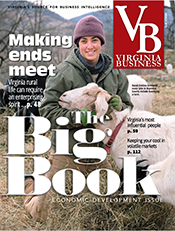 January’s General Assembly issue is now in your hands. 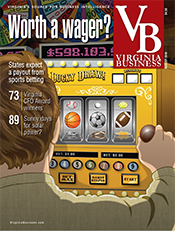 February will bring our annual list of Best Places to Work in Virginia. 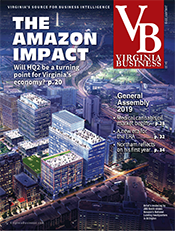 March’s edition will be the sixth annual Big Book, an economic development compendium of regional and statewide leaders in the commonwealth, including our annual list of the 50 Most Influential Virginians. 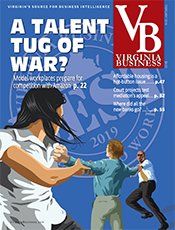 Virginia Business continues to offer its monthly regional pages and community and college profiles, as well as ongoing business-trend reporting in health care, hospitality, tourism, business law, insurance, real estate, philanthropy and other areas. 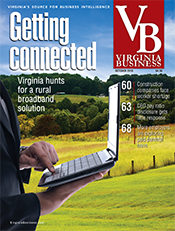 In addition to the magazine, look for daily updates in our e-News — yes, we are digital, too. 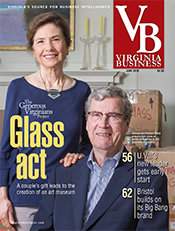 At Virginia Business our values are leadership, integrity, balance, respect and success. As always, we look forward to serving your business needs. Our prosperity depends on your success. Come grow with us in 2018!